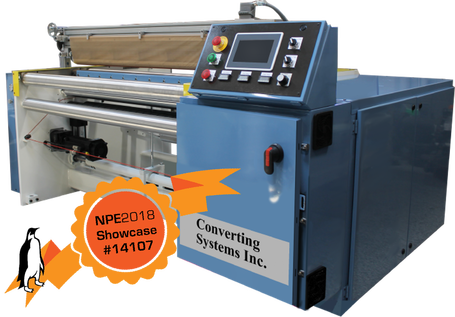 Plastic Bag Machine Options, Add-ons, Upgrades - Converting Systems Inc. These "Clamshell" style guards have been designed for use on new Converting Systems bag machines or various other manufacturers’ shuttle style machines. 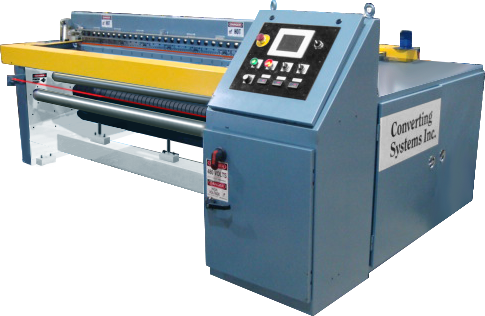 When an operator flips back the Lexan guard to access the machine, the guard system signals the bag machine to stop production. This then puts the machine in a "safe" mode for the operators to perform set-up, maintenance, or web up the machine. With the ability to mount on many different suppliers machines, these guard systems are an economical way to meet stringent safety requirements. This hot knife Slit Seal Unit utilizes small, heated blades to penetrate and seal plastic film as it is passed over the blade. It operates with a 120Vac 50/60Hz power and includes a 6' power cord. CSI’s Variator Replacement System allows customers the ability to upgrade only the Tension Variator portion of a shuttle style machine. On many older machines, a worn-out shuttle tension variator becomes inconsistent, allowing film tension to vary greatly during a production run. Inaccurate set-up, and inconsistent tension control cause a large amount of scrap. CSI’s Variator Replacement System transforms the variator system to an electronic line shaft controlled, servo axis. This servo follows EXACTLY the encoder feedback from the machine, then follows EXACTLY the speed of the nip rolls. 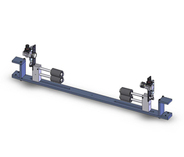 Whether running 20 FPM or 250 FPM, the servo will follow accurately and deliver consistent film tension. Operators can easily adjust shuttle tension through a data entry keypad unit with a "+ or –" adjustment within a pre-determined limit.